If you are lucky enough to have a formal dining room in your home, you have the opportunity to do something really special with the space. You can create a gorgeous yet inviting space that is perfect for special occasions like holiday feasts as well as cozy nightly dinners. A fully stocked dining room will have a large table to seat all your potential guests, a hutch with the fine China you need for special occasions, side tables and other special pieces. Yet you may not have the room to accommodate all that. You don’t have to crowd your dining room with pieces that you won’t use every day. You just need to invest in the right transforming furniture to maximize your space. When you think of folding chairs, you likely think of the cheap, metal chairs that are hauled out for the kids’ table at Thanksgiving or for your church bingo games. But not all folding chairs are created the same. You can invest in high-quality folding chairs that would look great at any special dining occasion. 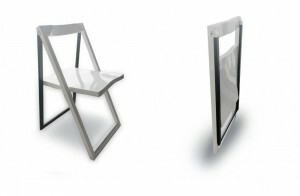 Folding chairs can be used in innovative ways in the space. For example, you can hang them on the wall when not in use to incorporate them into the decor. You can even open the chair while it is on the wall for a unique shelf. Folding chairs are great for smaller spaces, such as apartments, as well as maximizing the space in larger homes. They are versatile in design and functionality. No, this isn’t an oxymoron. The junior giant table transforms from tiny to mighty right before your eyes. The table starts as a small desk or a coffee table, and it pulls out to be a large dining table that seats up to 10 people. Just pull apart the legs to reveal a metal frame that extends. Whether the table is junior or giant, it maintains its sleek, modern design. Junior giant tables come in a variety of styles and colors so you can find the right look for your room. Junior giant tables are just one type of transforming table. There are many other styles that will help you find the right fit for your space. For example, some console or coffee tables feature a lifting top that will pull up to become a dining table. Some other transforming tables fold up quickly so you can remove them from the room when not in use. These tables are ideal for getting the most out of your space. They are designed in glass and wood so you can create the look you want for your dining room. 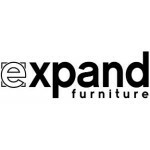 Expand Furniture sells a wide selection of all these space-saving dining room furniture options. 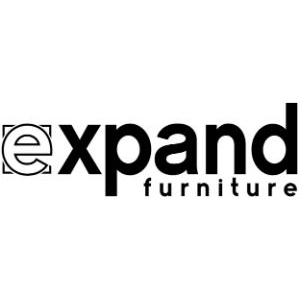 We carry all types of transforming tables, as well as folding chairs. Our high-quality furniture comes in a range of styles, colors, materials and finishes. Our modern designs are perfect for any contemporary home, and the simple, clean lines of the furniture can be paired with any decor scheme. Explore our catalog to find the options you need to maximize the space in your dining room. Cramped Dining Room Space? Why Expanding Dining Tables are the Answer 10 Signs It’s Time to Expand Your Dining Room Table Horizons Houston Space Saving Furniture Transform Your Kitchen this Summer with These Top Space-Saving Items Top Space-Maximizing Hacks to Try Now!